I needed the spring to begin. I finally “woke up” (no more winter hibernation for my creativity) and I feel more inspired than ever. Things have been a bit quiet on the blog, as you might have noticed. Injury, focusing on recovery, lack of energy and, to be honest, drop in inspiration. BUT spring started a new chapter for me. I feel different. I am more calm and relaxed. I am more grateful. I am a whole lot more inspired. 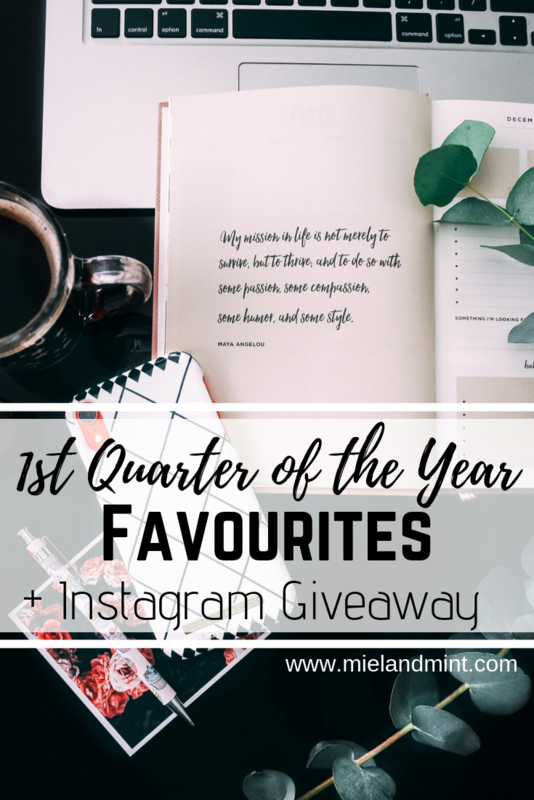 It’s been a while since I last shared my favourites (and I do love a good favourites blog post! ), I thought I’d include things I’ve enjoyed or found amazing in the past three months. How crazy is that the 1st quarter of 2019 is gone already? You might know that, unfortunately, all of our travel plans or ideas had to be cancelled or put on hold because of what happened to me in November. Though there was one trip we managed to squeeze in and it was THE BEST THING EVER. Back in December, about a week after my surgery, both my husband and I enjoyed the trip which we look forward to every year. A few days before Christmas we packed our suitcases and boxes full of presents for family and friends and drove from Chester, England up north to Cairnryan, Scotland. That drive is always so exciting and relaxing. Driving home for Christmas is always such a special thing. From Cairnryan we travelled across the Irish Sea to Belfast, Northern Ireland by Stena Line*. Stena Line is an international travel service company and one of the largest ferry operators in the world. I am not biased when I say that they provide the absolute best experience, and I would never go with anyone else if I was after booking a trip by sea. So, when we got to Cairnryan, Stena Line have kindly accommodated my then-needs and the fact that I required a wheelchair. They were very efficient, attentive and got us on board very fast. We were booked into Stena Line Plus which is a massive treat on its own. It’s a private luxurious lounge area available for a very small charge on top of your main ticket. And guess what – it was worth every penny! It was quiet, not overcrowded (even though it was fully booked – Stena Plus gets booked up fast!). The seating areas are very cosy and comfortable. I even managed to have a power nap. There are TVs, magazine stands, and the views from big observation windows are hard to beat. 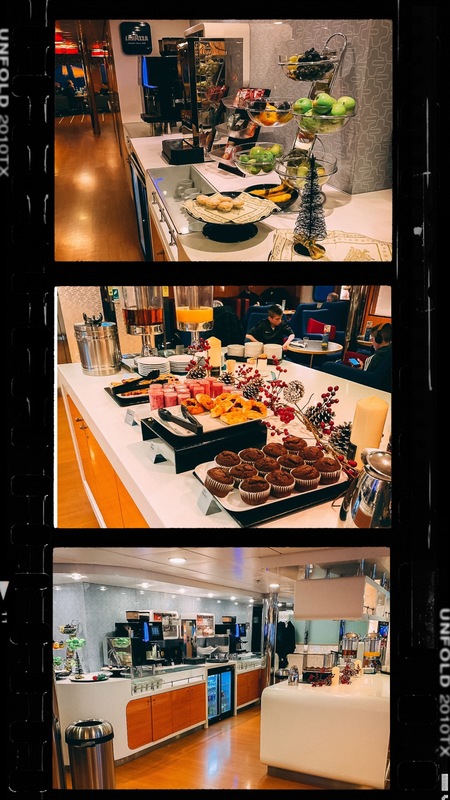 Their selection of complimentary drinks (cold and hot) and snacks (fruit, crisps, biscuits, tray bakes, cakes and much more) is worth a mention. There’s also a menu you can order your meal from – and the food is absolutely delicious! 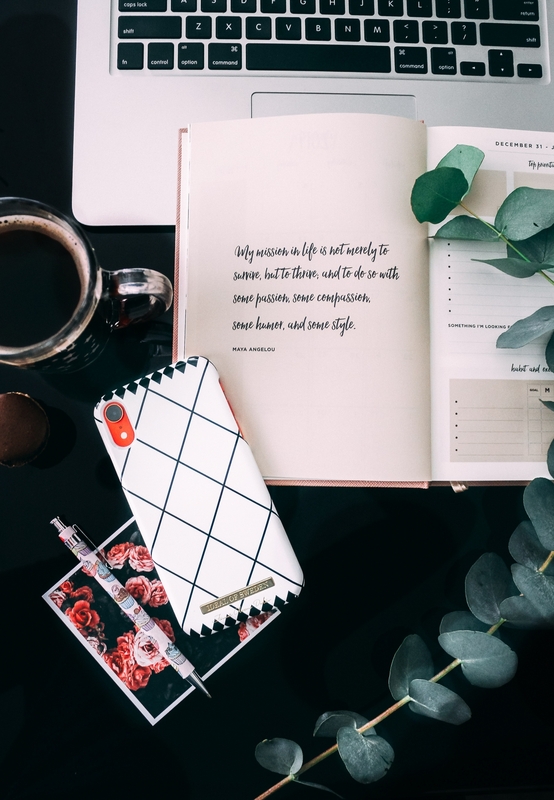 I have collaborated with Stena Line on multiple occasions and used their services for YEARS before becoming a blogger but this year Stena Line overdelivered. They have been very helpful and attentive. Their staff is so well trained and professional. It’s been a joy working with them and travelling with them yet again. If you are looking for an experience and want to enjoy your journey at sea, I couldn’t recommend Stena Line more. It services quite a number of destinations, including the UK, Ireland, the Netherlands, Norway, Sweden, Denmark, Germany, Latvia and Poland. *Disclaimer: our trip was kindly gifted by Stena Line. We’ve been using their services for years prior to the complimentary trip and have always enjoyed the journey. All thoughts and opinions are my own and 100% honest. Book your Stena Line trip HERE. There have been some staples in my makeup bag that I’ve enjoyed on a daily basis. These 3 were definitely among them. I am sure they will be repurchased once I run out of them. I’ve had this bronzer since the start of December and have been using it every day from January onward (tbh, I didn’t wear much makeup in Dec because of the injury/surgery and everything in between). It applies so beautifully, it’s not patchy, powdery or harsh. It is very pigmented so a little goes a long way. My favourite thing – it doesn’t contain any sparkle! I definitely prefer matte bronzers. 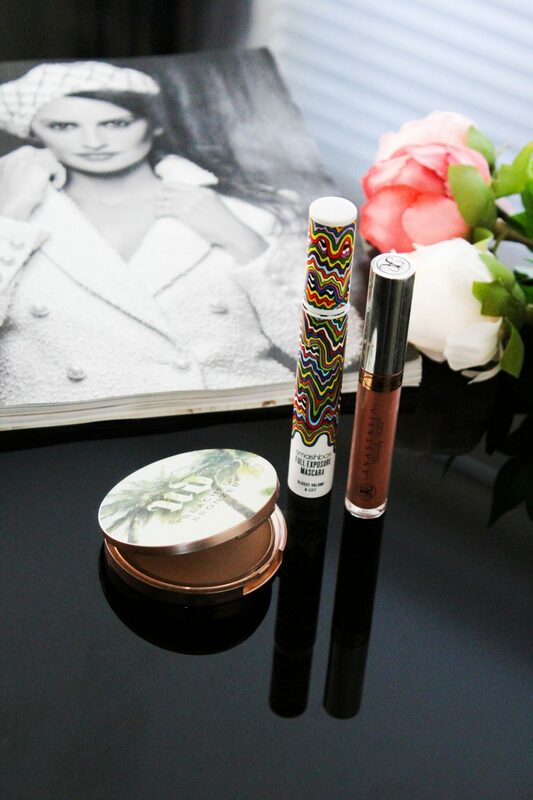 I have blogged about this beautiful collection and the set of mascara + lash primer + gel liner in this blog post. Unfortunately, the Holidaze collection isn’t available any more but this Full Exposure mascara is still my absolute favourite. It goes on smoothly, easily helps you create a natural look. It’s buildable so it’s no problem to go to a more dramatic full-lash look in minutes. It never gives my lashes that awful spider-legs finish! I couldn’t recommend this mascara enough – absolute fave. I blogged about this beauty here and this is my second lipstick from ABH in the exact same shade. Not only the application is so straight-forward and easy, it’s such a smooth and moisturising liquid lipstick. Also, it can proudly wear the “long-wearing” title! It doesn’t go anywhere and it doesn’t dry my lips out. Hence, why I repurchased it. Someone has DM’ed me the other week asking whether I like Pixi because I LIKE Pixi or I like Pixi because it was gifted to me. Well, check out these two products right here. Guess what: both purchased by me, both genuinely loved by me. This is my 3rd Glow Tonic and my 1st Glow Mud Cleanser (I will be ordering my 2nd one in April/May because that’s when I will run out of this one). 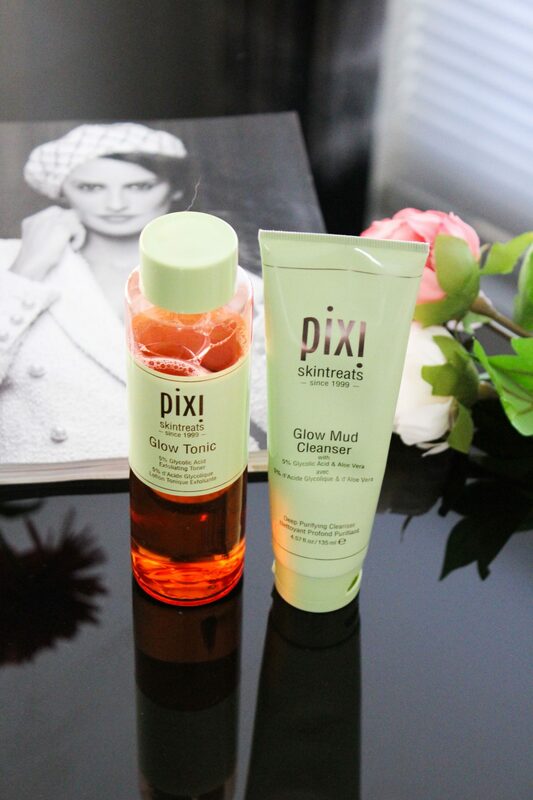 Pixi has been among my top favourite skincare brands for a while. Most recently quite a number of products from Pixi have become my absolute staples so don’t be surprised if I feature Pixi again very soon (not sponsored, not PR gifted). So many people have been raving about Glow Tonic for years. I have only tried it and tested it properly last year but what a massive difference it makes! You have to stay consistent with it to see “the glow” but it will wow you from the first few uses. I love how clean and soft my skin feels after using Glow Tonic. I use it every evening and every other morning and the difference is amazing on my sensitive skin (it helps with settling my rosacea too). Okay, this one deserves a lot of praise. I’ve only been using it for about 2 months but I am wowed. It’s gentle, it’s effective and my skin is loving the cleanser! Huge brownie point: I never break out when I use it. I use it about 3-4 times a week and apply my Glow Tonic straight after. Definitely one of the best cleansers out there! I’ve always been a huge Ray Ban fan. Every time I try to switch to a different brand, I still go back to my favourite aviator sunglasses. These beauties were kindly gifted to me by Eyewear Brands*. Eyewear Brands is one of the top online fashion eyewear stores established in 2008. They offer more than 75 designer labels for women and men. You can have a browse here. Also, there’s a massive – up to 70& OFF – SALE happening right now. Check it out here. I’ve been wearing these Ray Ban aviators in multiple photos on my Instagram. You can have a look here, here and here. 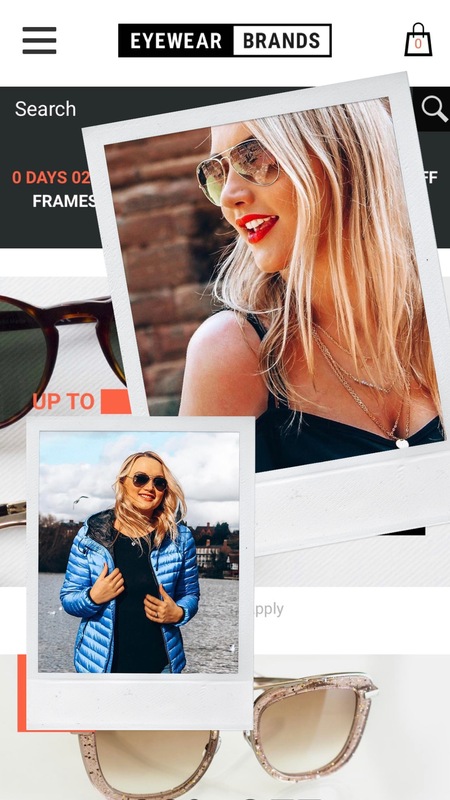 If you love Ray Bans aviators you will love this selection (those are the sunnies I am wearing in the photos above). The ‘Favourite Insta’ category is always one of my absolute favourites to edit. During the last few months I have discovered many amazing new profiles. I have also been as consistent as I possibly could with catching up with my old-time favourites. There is one profile I always look forward to seeing pop up on my timeline. And when Instagram doesn’t show it to me, I go searching for it. It’s ladywritesblog. I’ve been following Chloe aka Lady Writes (ladywritesblog on IG) for years and she has never failed to amaze me in many different ways. When I think of the most hard-working people in the blogosphere, Chloe comes up to my minds among very few others. She is a mum of two gorgeous boys, a self-made entrepreneur and has a mega creative mind, the kindest heart, a down-to-earth sweet personality and killer photography skills. Go follow her @ladywritesblog if you aren’t already. Things have changed in a big way since I was in an accident and had my surgery. 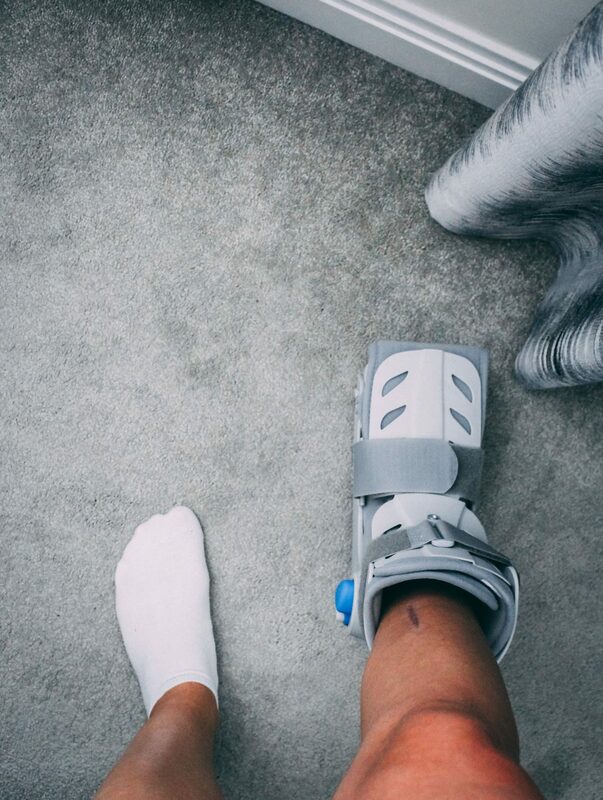 But one of the most significant moments for me will always be the day when they removed my cast (after what felt like forever) and I was transferred into this snazzy air boot. It took me a little while to get used to it and to start bearing weight without crying and being in a lot of pain. But I got there eventually. I am so thankful for all the progress I’ve made with my foot. Unfortunately, Lifranc injuries don’t heal that fast so I am looking at full recovery in 2020 or 2021. I will also need a second surgery this summer. Oh, and as you can see, I scored a “pretty” scar down my shin because the car hit me pretty bad there too. My leg from my knee down to my foot has been all sorts of colours: blue, purple, yellow, red. It has also not regained sensitivity yet. Everything from knee down still feels as if I’ve have been injected with a nerve block. Soft tissue and nerves will take a while to recover. But I am getting there. The main thing is that I am walking. Slowly. With different levels of pain and discomfort. But I am walking. Yay to that! 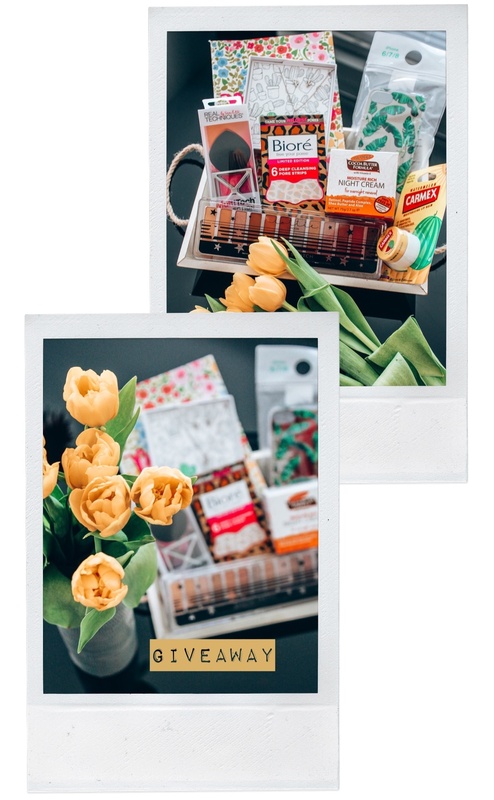 Recently I have been working very hard on upping my Instagram game. Why? I think it was mid-February when all of my social media platforms hit the lowest of lows. So much work went into them over the years and I have enjoyed connecting with so many wonderful people via all those channels but it was then when I realised that hardly anyone was engaging with my content. One of the main reasons being I hardly ever posted. Another one – I hardly ever engaged with others. I just never spent time on the app any more. My own fault. At the same time, I have been thinking for a while about how I could change things up, improve my Instagram experience and grow my community in the process. I kept asking myself “What makes you different?”. 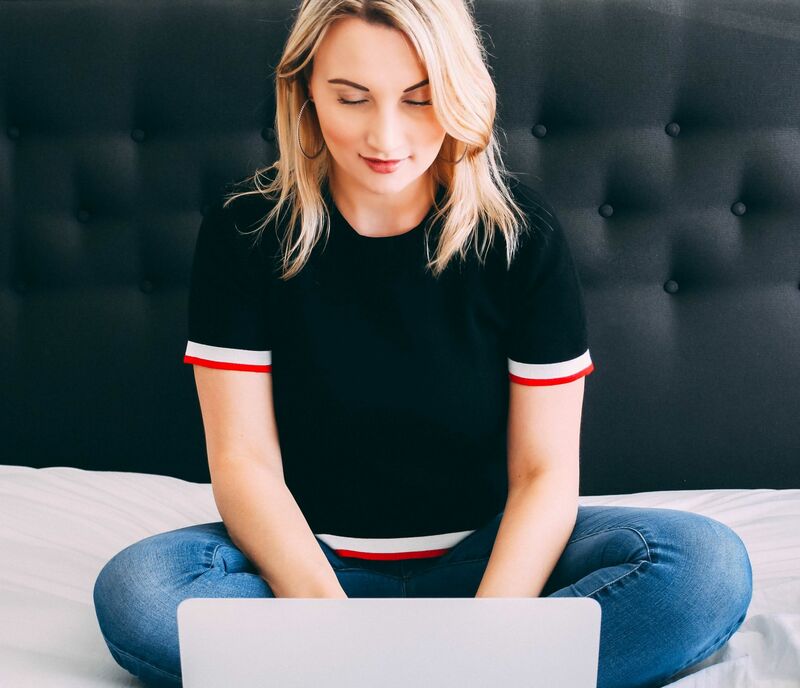 I am based in the UK but I am NOT from the UK so how come I have not yet collaborated with people who are from my home country as well as different niche bloggers from all over the world?! On top of that, why not utilise the fact that I speak more than one language?? English is not my first language but I use it 97% of the time on a daily basis. I started this blog in English because I find it to be the easiest language to express my thoughts in. Therefore, I’m sticking to it on my social media (since SM is an extension to my blog) BUT I have started translating everything I am saying or typing on Instagram. In March I collaborated with a few huge bloggers in Ukraine and it has brought about 3,000 people to my profile. I couldn’t believe it! My community started to grow, my engagement has hit the highest point it’s ever been at and I am happy to spend time on the app again. To be fair, some people have unfollowed having realised I produce most content in English but the majority have loved it and stuck around! I am making sure to add subtitles though so it’s possible for them to follow my content in English. So those collaborations plus my dual-language content, have helped me MASSIVELY. I fell in love with a platform again and really enjoy being as helpful as I can while being my goofy self on Insta. As you might have noticed I have also started to speak much more on my Insta stories! I am pushing myself out of my comfort zone and I actually really like it! That’s why I am running this giveaway. I simply wanted to say THANK YOU to everyone who follows me and supports me on IG. You can go to my Instagram and enter to win. It’s a worldwide competition and it finished on 10 April so hurry to enter! and let me know what you have enjoyed during the 1st quarter of 2019. Tell me about 3 things you are excited about this spring & summer.